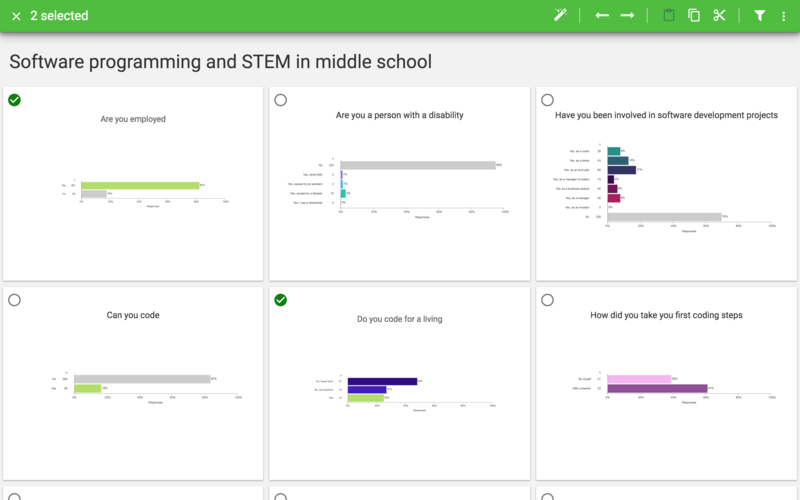 Turn your survey data with a simple click into management grade reports & dashboards with high quality visuals and common sense analytics that matter. 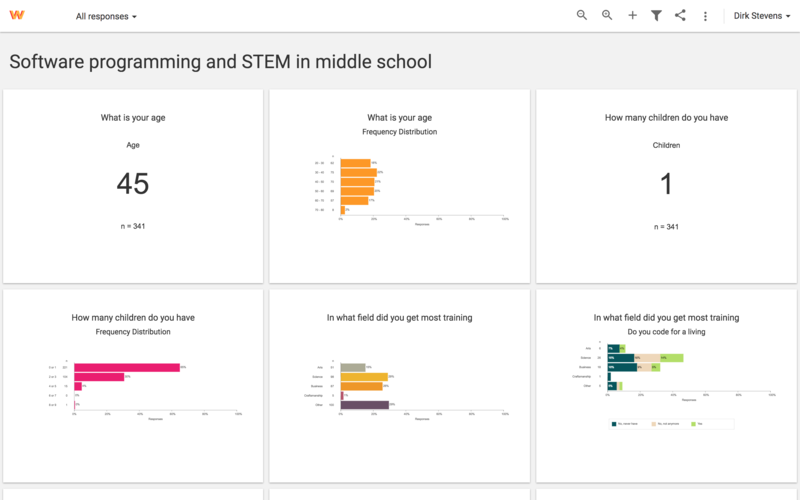 Interact with your survey data as never before. Segment, filter and review. It's so easy, you'll stop calling it work. Just don't tell your boss. We have an always free plan and our premium plans come with first 30 days free. 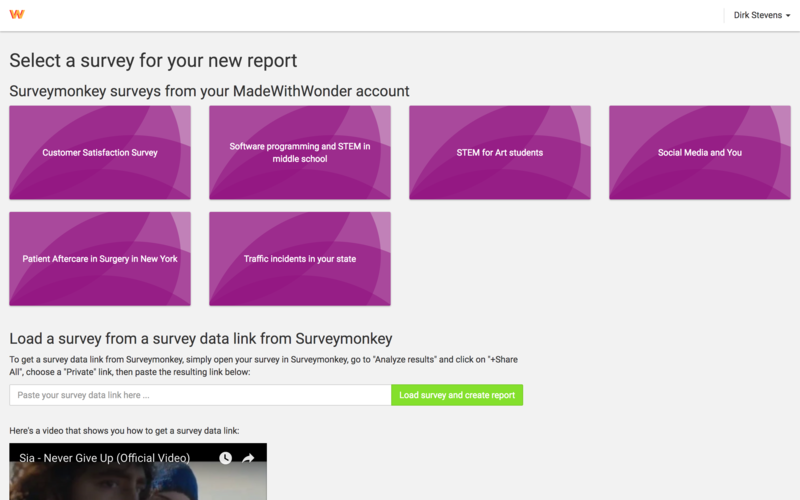 Surveywonders is a labor of love and brought to you with pride. If you’d like to learn more, or are interested in working with us, contact us anytime at info@surveywonders.com.